Quotes! Quotes! and more Quotes! 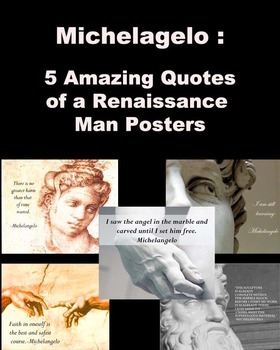 Michelangelo - quotes poster set is 5 beautifully crafted 8.5. x11 posters that incorporate his art and quotes. Michelangelo was a genius! Use this resource to decorate your classroom, inspire your students, and start class discussions!